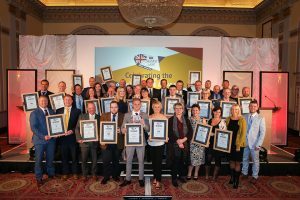 The 2018 UK Sausage Week award winners. 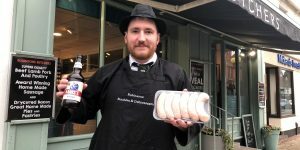 The UK Sausage Week 2019 dates have been announced, with YPL Exhibitions & Events confirming that the campaign will run from Monday 28th October through to Sunday 3rd November. This is a week later than originally scheduled due to the Meatup Show being postponed this year, and the date becoming available without clashing with the exhibition. 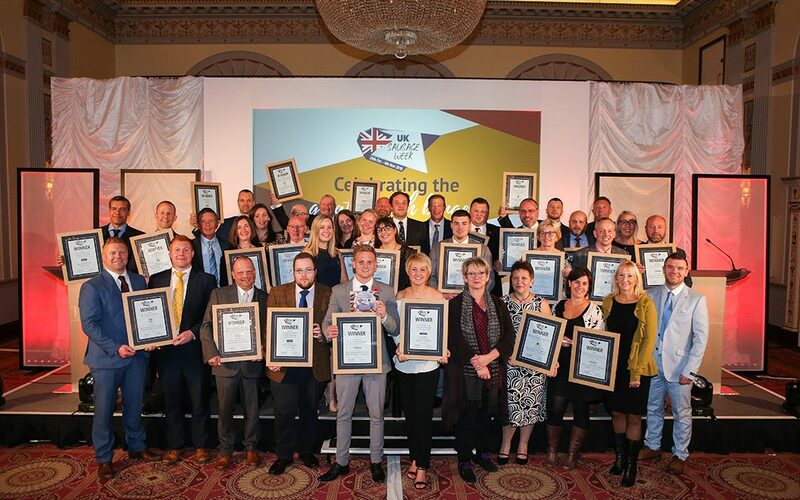 Backed and promoted by Meat Management magazine, UK Sausage Week will start with a celebration lunch, including the popular annual Awards ceremony, where sausages from around the country will be recognised, including the coveted UK Supreme Sausage Champion Award. 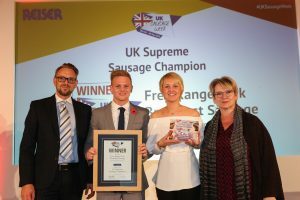 The overall UK Supreme Sausage Champion in 2018 was Frank Parker Butchers, which subsequently featured on media such as BBC Radio 2 with Chris Evans, Channel’s 4’s Sunday Brunch and Chris Moyles on Radio X. UK Sausage Week itself also featured across multiple national and regional media platforms, including Heart Radio and The Daily Star. More radio coverage hit the airwaves when BBC Radio 2 presenters Jo Whiley and Simon Mayo were joined by The Hairy Bikers on their show to mark UK Sausage Week. 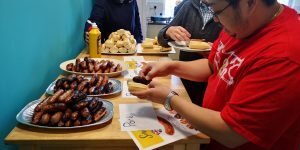 The presenting team offered their support for British bangers by sharing their listeners’ favourite sausage recipes and tips. Every year, Meat Management helps the meat industry to make the most of the UK Sausage Week campaign by providing free marketing and POS materials, including an exclusive poster and logos, plus a selection of sizzling sausage recipes. 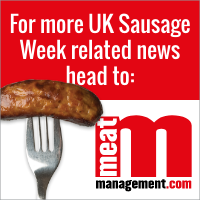 More information about entering the UK Sausage Week competition will be published in due course. For more information go to www.uksausageweek.com or email emma.c@yandellmedia.com.